While I am still recovering from my Goa hangover, here I am, penning down another wonderful BNB experience from my time there. Goa is much beyond its beaches and opened up a wealth of new stay options; the most recent being “Poorna Birdsong”. 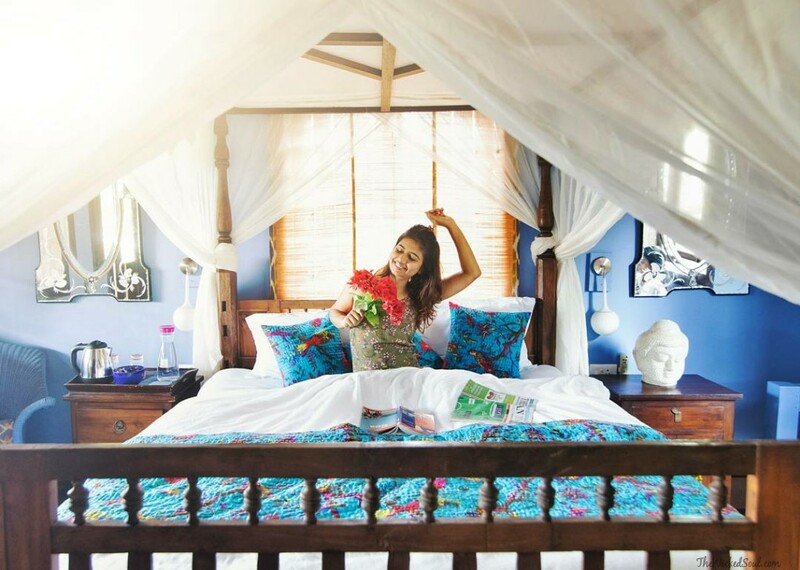 BNB (Bed and Breakfast) concept has evolved rapidly in India over the past couple of years. 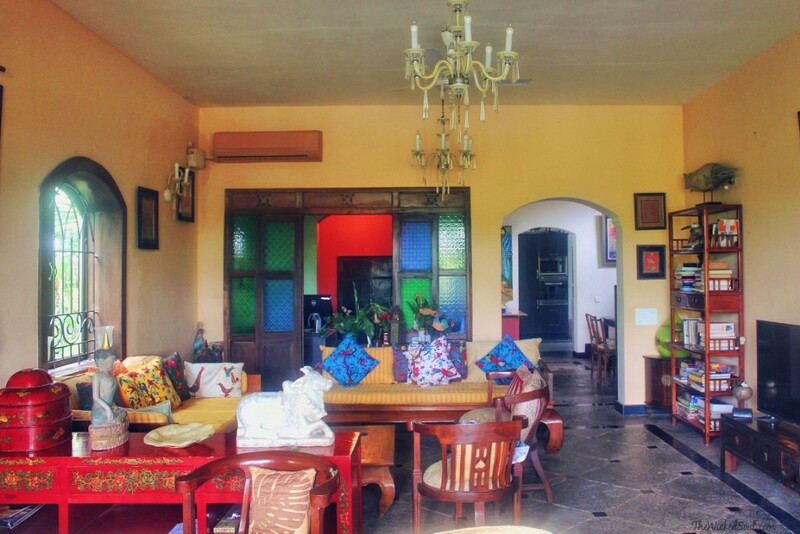 It offers a more homely and local experience while you share an accommodation with the owner/family. 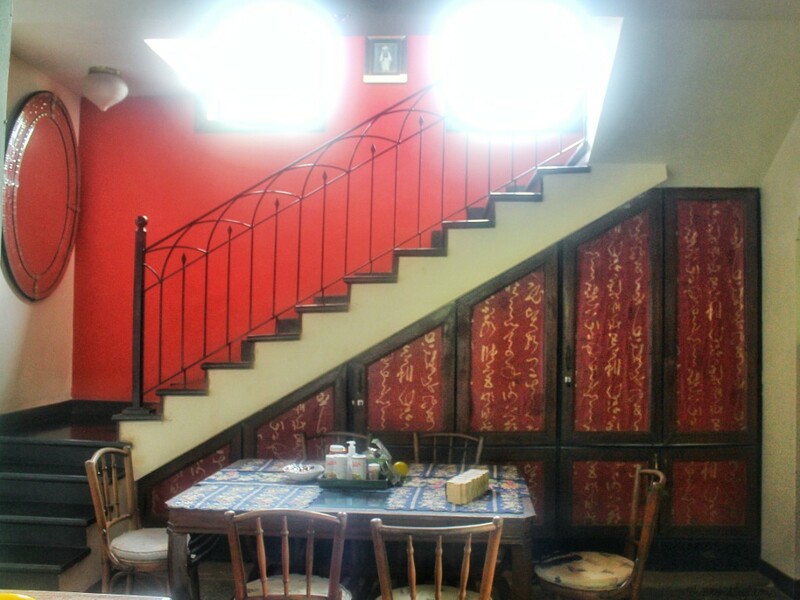 The owner provides accommodation to travelers in their homes along with the breakfast and homemade food (sometimes). Hence, the term BNB. One of the perks of staying at a BNB is swapping of interesting stories with the locals, literally from the horse’s mouth. 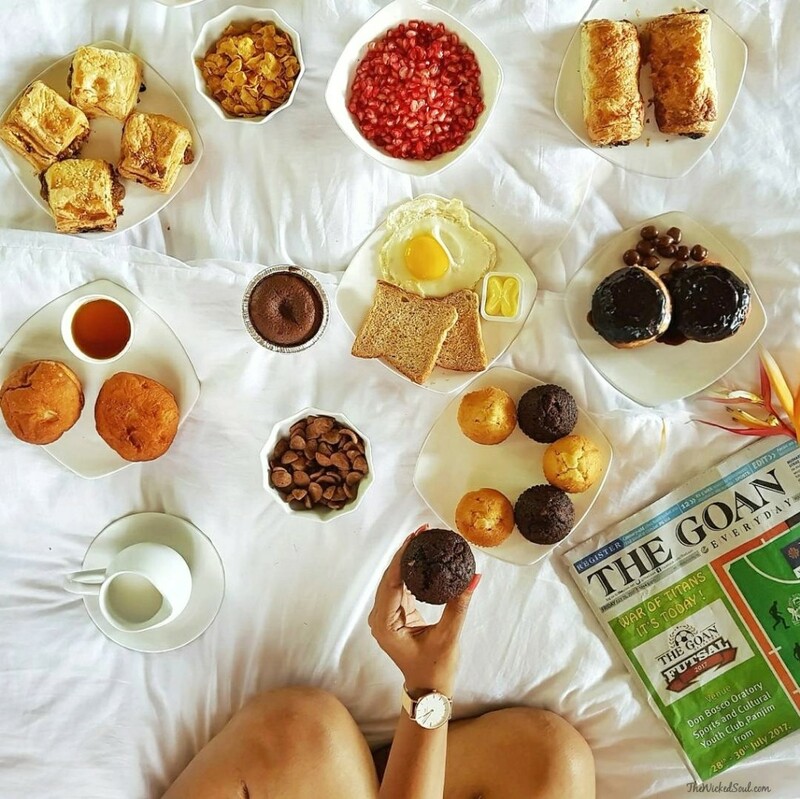 There is no dearth of staying options in Goa, but since I was travelling with my Mother, I opted for something that could afford me a more homely and relaxed experience. Poorna literally translates into “Complete” in Sanskrit. Located about 10 kms away from the capital city of Panjim, lies this charming and secluded abode nestled in Nerul, a quaint village in the Northern side of Goa. As we entered, I could sense a feeling of calmness and positivity. 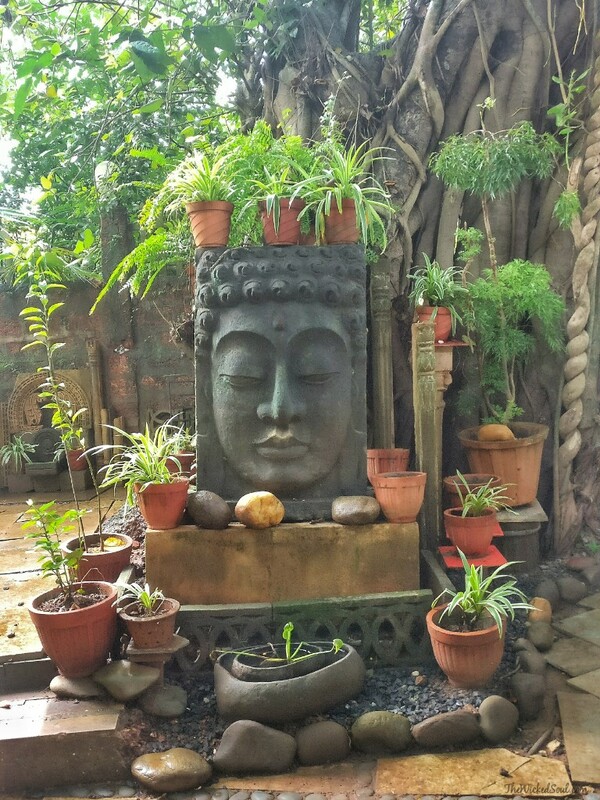 A serene statue of Buddha overlooks the entrance. The Feng Shui in this place seemed to be working perfectly. We were welcomed with a warm smile by the owner, Anand and an even warmer cup of Coffee made by Munna, the young house help. 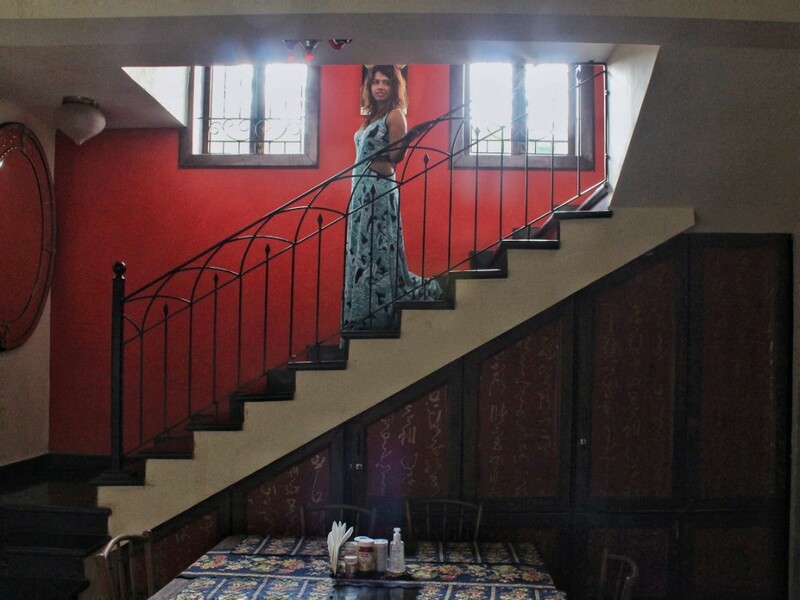 We were escorted to our room upstairs, and the walls along the stairs had chants written across them. An intricately moulded mirror hung from the wall adjacent to the chants. With a spectacular view of the Nerul river burbling in the backyard, Poorna Birdsong already seemed like a nice escape from the maddening rush of the city. If you are following me on Instagram or Facebook, you would have seen from my posts that I couldn’t get enough of this stunning room. The rooms are simply indescribable. Each room is prettier than the other. 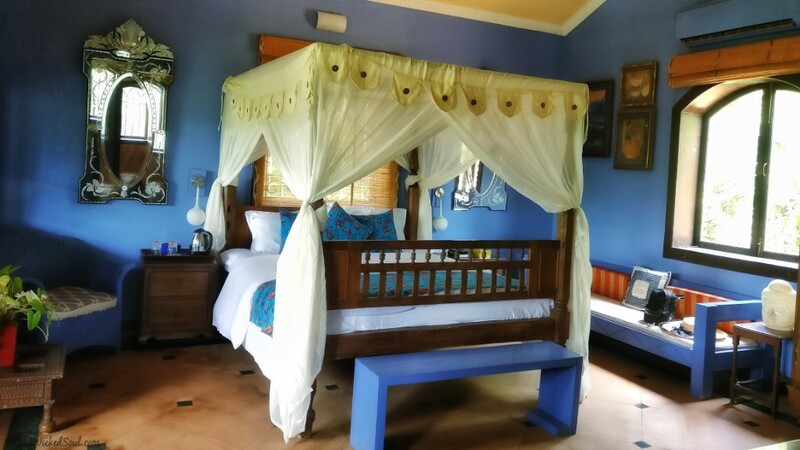 The rooms are painted in cheerfully bright hues, centred with king-sized beds adorned with high-end linens and comforting quilters and spacious ensuite bathrooms stocked with organic toiletries and hot water bath. The hot water facility was a saviour as the weather was chilly during the nights. There are only 5 rooms in this beautiful house and we were treated like family members. 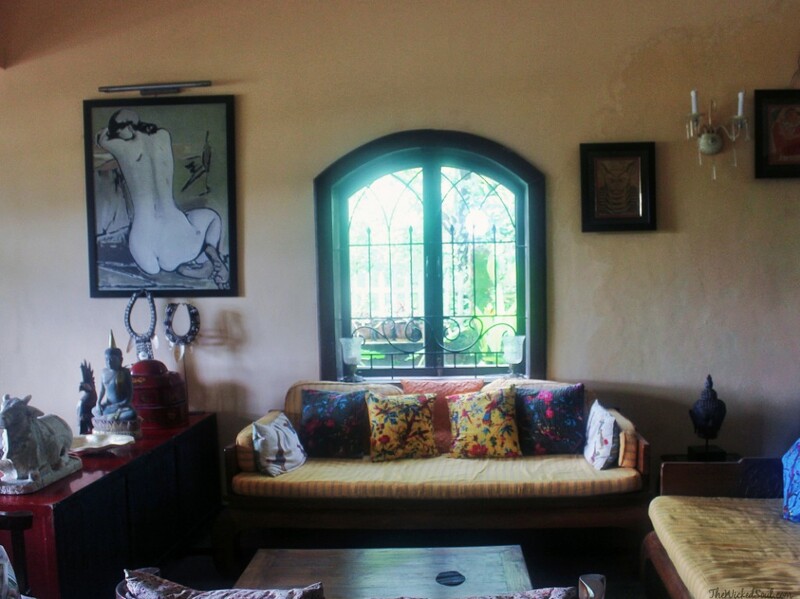 The living room resembles a small art gallery with an eclectic collection of paintings hoisted all around. The book racks in the room are stashed with books of different genres; Travel, Vaastu Shastra, healthy living; knowledge for every kind of reader. A few board games occupy the shelves for those who would love to be entertained through the evening. As I sat there sipping on my coffee and chatting up with our host, Anand, we spent hours swapping travel stories and prospective travel destinations. Being a traveler himself, he spoke about a few off the map locations known only to locals. He also recommended us places to visit and subsequent directions to get there. 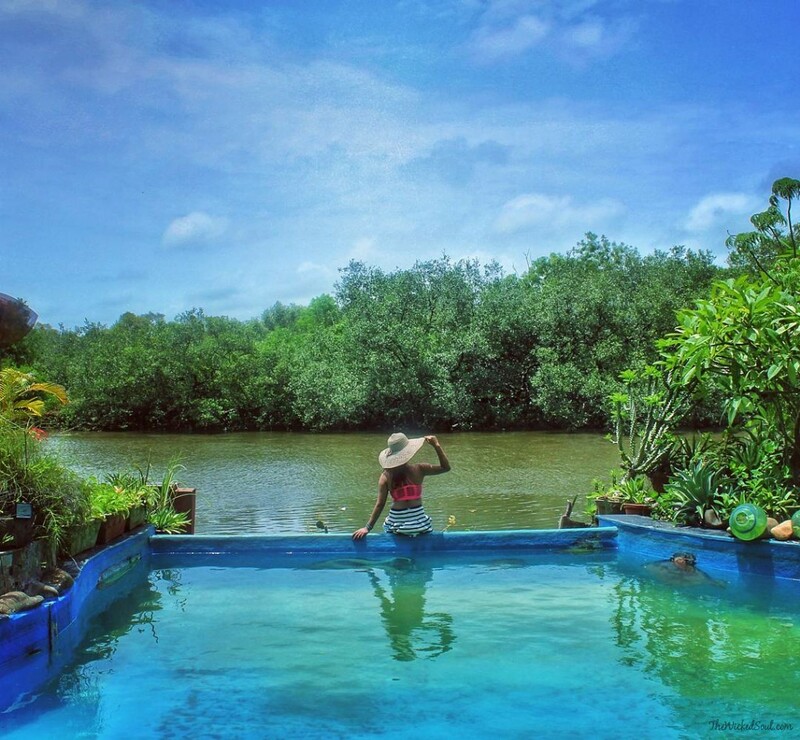 What I loved most about my stay here was the experience of a mélange of luxury and relaxation. I can visit this place again simply to stay here and do absolutely nothing. Just a 20-minute drive from the capital city, Poorna Birdsong is close enough for convenience but far enough to feel the world away from reality. My stay at Poorna was pleasing and it was quite the relaxed holiday I looked forward to. Good news for digital nomads! You can make this beautiful home as your workstation. Check their Co Working deals here. I was welcomed as a guest, however, photos, suggestions, and opinions are of my own and in no way influenced. Hi! 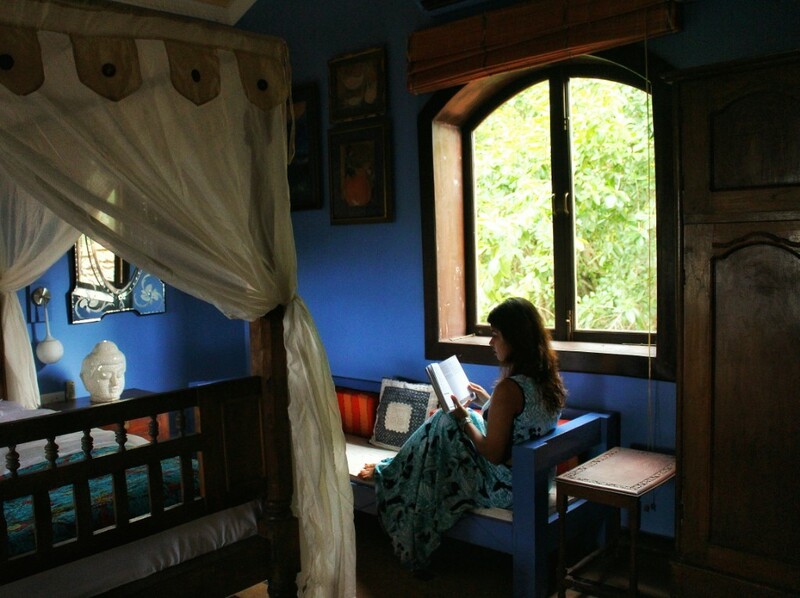 Thanks for sharing your photo series of the BNB in India! I had no idea that BNBs were on the come up there – it seems like a really great experience to be able to fully immerse yourself in the culture. Loved how colorful the rooms are – and blue is a calming color as well – so it seemed like all the colors tied together to create this calming feeling. AND THE FOOD LOOKED INCREDIBLE!